Whereas the usual diagnosis average is about one case per week in the region, there were 56 cases diagnosed in October 2018 alone. In the worst-affected area, Seine-Saint-Denis, 11 people have been hospitalised due to the disease. Most were children aged four and under, whose vaccination records were not up to date. Symptoms of measles include a high fever, aches and pains, fatigue, a runny nose and streaming eyes, and a rash on the mouth, face and body. In severe cases it can cause serious respiratory and neurological problems. The disease is ten times’ more contagious than ‘flu, and it is passed between people by air droplets (such as a cough or sneeze) or by direct contact, such as touching. One ill child in a public space - such as a crèche - can infect up to 20-50 others. Adults and children can be affected. Some people may experience relatively few symptoms, but others may require hospitalisation and even risk death. In France, doctors must report any diagnosis of measles to their regional branch of medical agency l’Agence Régionale de Santé (ARS). No deaths have so far been reported in this recent outbreak, but at the beginning of the year, three people died from the condition. The ARS has said that the reappearance of the disease is almost certainly due to a lack of vaccination coverage across France. National coverage needs to be at 95% to prevent outbreaks, it said, but the current level is at 79%. A 95% coverage would protect very young babies, older people, and anyone else who is immunocompromised and cannot themselves receive the jab. The measles vaccination is now one of the 11 jabs that are now mandatory in France, so experts expect coverage to rise slowly over the next few years. 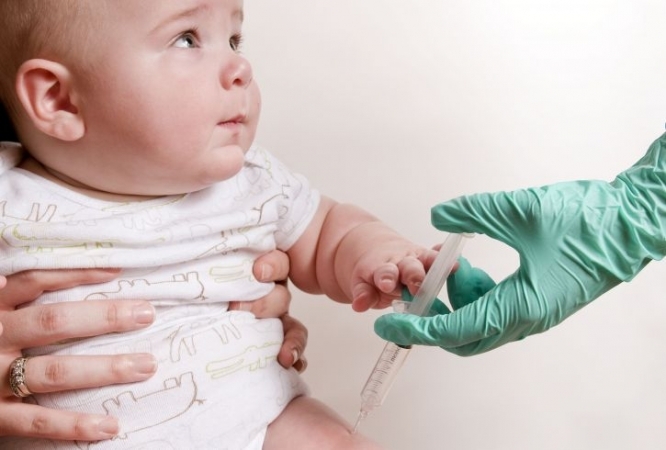 The measles jab is usually delivered as the MMR (mumps, measles and rubella; or ROR in French: la rougeole, la rubéole et les oreillons), with the first dose when a child is 12 months, and the second between 16 and 18 months. Between November 6 2017, and August 2018, 2,471 cases were reported in France, of which 22% were hospitalised. This year, the World Health Organisation (WHO) warned of the continued risk of measles, as cases of the disease reached record-breaking levels this year.